Beacon Point Plan 3 on a Corner Lot!!! 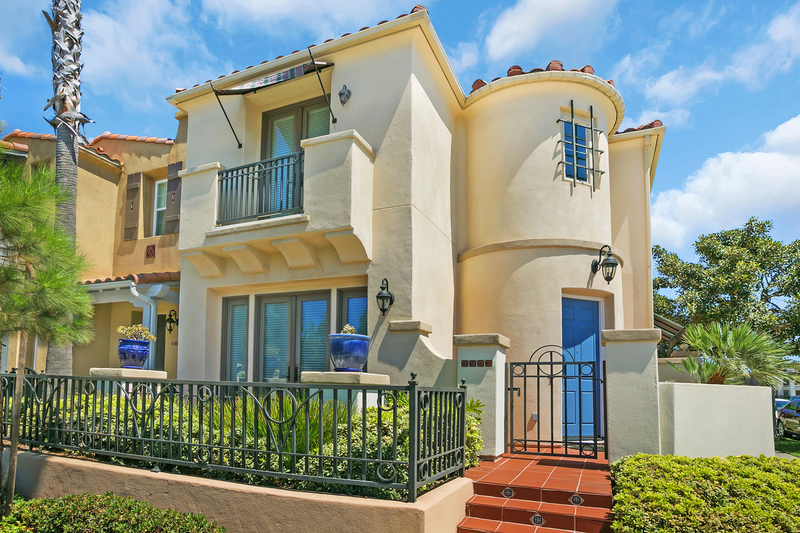 Front Exterior Boasts Gorgeous Spanish Tiled Walkway and Entry with Accents. Greeting you in the Turreted Entry is a Stately Tiled Medallion and Maple Wood Flooring in the Formal Living and Dining Room, both of which are open to an Extra Office Space. The Kitchen has Granite Countertops, Kitchen Aid Stainless Steel Appliances, and Cabinetry with Glass Inserts. Kitchen, Breakfast Table Area, and Family Room are all open to each other as well as the Spanish Tiled Yard with Accents featuring a Built-In BBQ Grill and Table. The Family Room has a Built-In Media Niche and a Travertine Tile looking Gas Fireplace Surround. The Master Bedroom has a Large Sitting Area and a Juliet Balcony. The Master Bathroom has a Large Oval Tub, Separate Shower, Dual Sinks, Make-up Station, and an Expansive Walk-In Closet. This Stunning Home features Plantation Shutters and Wood Blinds throughout, and the Corner Location brings in much more light than is possible with other Homes in this Walk-able Community! Contact The Yarbrough Group Today For More Information!